Nachdem die Mitarbeiter von Blizzard Entertainment bereits vor einigen Tagen in ihren offiziellen PTR Development Notes zu Build 23530 erwähnten, dass die ersten Raidtests auf dem PTR von Patch 7.2 vermutlich noch in dieser Woche starten sollen, veröffentlichte der für WoW verantwortliche Game Director Ion „Watcher“ Hazzikostas in der vergangenen Nacht nun interessanterweise die genauen Termine für diese anstehende Testphase in den Battle.Net Foren. Dieser Ankündigung zufolge dürfen die derzeit auf dem öffentlichen Testserver spielenden Personen am morgigen Freitag, den 10. 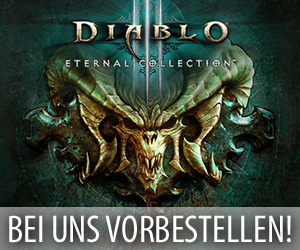 Februar 2017, dann endlich in das mit diesem Update erscheinende Grabmal des Sargeras eindringen und dort dann gegen die heroischen Versionen der beiden Bosse „Goroth“ und „Harjatan“ antreten. Mit diesen ersten Raidtests für Patch 7.2: Das Grabmal des Sargeras möchten die Entwickler allerdings nicht wirklich die verschiedenen Mechaniken dieser beiden Encounter prüfen, sondern diese Testphase soll erst einmal nur als ein Stresstest fungieren und die Stabilität der öffentlichen Testserver dieses Updates kontrollieren. Aus diesem Grund werden die Kämpfe gegen „Goroth“ und „Harjatan“ vermutlich noch eine Vielzahl von Bugs und Balancing Problemen aufweisen und sich stark von ihren finalen Versionen unterscheiden. In folgender Übersicht findet ihr nun weitere Informationen zu dem genauen Ablauf dieser anstehenden Raidtests und den Mechaniken der beiden testbaren Encounter. As punishment for his past failures, every move Goroth makes causes him searing pain. His entire existence is one of unending torment. His only hope is to win victory for the Legion and earn a higher station after his next resurrection. Overview – Goroth continously gains Fel Energy until he can unleash [Infernal Burning], decimating any enemy it hits. Use [Infernal Spikes] to survive [Infernal Burning] and [Infernal Spikes]. Avoid destroying [Infernal Spikes] when [Burning Armor]. Burning Armor – Inflicts 1100000 Fire damage every 2 sec for 6 sec. Upon expiring, Burning Armor explodes for 1425000 to 1575000 Fire damage and applies Melted Armor to all enemies in a 25 yd radius. Crashing Comet – Goroth targets up to 3 enemies with Crashing Comet, inflicting 1267500 to 1332500 Fire damage to all enemies within 10 yds. This explosion destroys pillars. Infernal Spike – Infernal Spikes erupt from the ground, inflicting 1368000 to 1512000 Fire damage to anyone in the area. In Mythic difficulty, when an Infernal Spike is destroyed, it explodes for 390000 to 410000 Fire damage..
Shattering Star – Goroth selects a target and then hurls a Shattering Star at them after 6 sec, inflicting 2500000 Fire damage to all enemies within 200 yards. This damage is decreased by every Infernal Spike the Shattering Star collides with. Any other targets struck by the Shattering Star while it is traveling to its target take 715000 to 790000 Fire damage. Infernal Burning – Goroth ignites everyone he can see, inflicting 2632500 to 2767500 Fire damage immediately and 1200000 Fire damage every 2 sec for 10 sec. Fel Eruption – Fel lava erupts from the edges of the room, leaving pools that inflict 300000 Fire damage every 1 sec. Rain of Brimstone – Goroth calls down 4 meteors, each inflicting 5000000 Fire damage divided evenly between each of the targets. A Brimstone Infernal will spawn if a meteor fails to hit any targets. Fel Fire – Ignites the area surrounding the caster, inflicting (2.2% of Spell power) all nearby enemies every 1 sec. Lasts 8 sec. Pick up the Deeptide Wavemenders when they spawn in order to keep them away from the raid. Interrupt Murloc Tidemender’s [Tend Wounds] to avoid Harjatan the Bludger from receiving too much healing. Jagged Abrasion – Bleeds the target for 480000 Physical damage every 2 sec for 30 sec. This effect stacks. Unchecked Rage – At 100 energy, the caster releases all their built-up rage, inflicting 16000000 Physical damage, split between all enemies in a cone in front of the caster. Commanding Roar – Lets out a deafening roar, calling to near by allies to join the fight. At 66% and 33% health, Harjatan the Bludger calls in one additional murloc. Watery Splash – Splashes the target with water, inflicting 585000 to 615000 Frost damage and applying a stack of Drenched. Drenched – Drenches the target, inflicting 97500 to 102500 Frost damage every 2 sec increasing Frost damage taken by 5%. Stacks. Aqueous Burst – Cover an enemy with conductive water which lasts 6 sec. Upon expiration, the water explodes, inflicting 536250 to 563750 Frost damage to all nearby enemies and leaving a pool of Drenching Waters at the enemy’s location. Drenching Waters – Inflicts 146250 to 153750 Frost damage every 1 sec, and increases stacks of Drenched on the enemy. Tend Wounds – Tends to the target’s wounds, healing them for 2% of their health every 3 sec for 12 sec. Dripping Blade – Enchants the caster’s weapon, causing melee attacks to apply Drenched to the target. Driven Assault – Fixates on a target, attacking them to the exclusion of other targets. Additionally, the Deeptide Gladiator’s Physical damage done is increased by 50% and their movement speed is decreased by 25%. Splashy Cleave – Swings wildly, inflicting 414375 to 435625 Physical damage and applying Drenched to all enemies in a cone in front of the caster. Bring To Task – Brings all allies within 10 yards in line, increasing their damage done by 100. Focused – The Darkscale Taskmaster’s presence focuses Harjatan the Bludger and all nearby murlocs, increasing their damage done by 100%. If Harjatan the Bludger or any murloc moves away from the Darkscale Taskmater, they are no longer focused, leaving them with Lingering Focus. Lingering Focus – The target remains focused for a little while longer, increasing damage done by 100% for 10 sec. Frosty Spittle – Spits out a icy blast, inflicting 600000 Frost damage to all enemies in a cone in front of the caster. Draw In – Draws in all pools of Drenching Waters to Harjatan the Bludger for 10 sec, adding a stack of Frigid Blows for each pool absorbed. Frigid Blows – Empowered by frozen waters, causing melee attacks to deal 316875 to 333125 Frost damage to all nearby enemies. Drenching Slough – With each strike, a portion of the gathered frozen water falls off, targeting a random enemy’s location. Upon reaching its destination, it inflicts 585000 to 615000 Frost damage to all nearby enemies and leaves behind a pool of Drenching Waters. Tantrum – The caster throws a tantrum and jumps around randomly, inflicting 243750 to 256250 Physical damage to all nearby enemies whenever they land. Getting Angry – The caster’s tantrum increases in intensity, increasing their Physical damage done by 25%. Dripping Wet – Dripping wet, causing the caster to create pools of Drenching Water at their location every 5 sec. Rotten Emission – Explodes in a shower of disease, inflicting 1500000 Nature damage to all enemies. Enraged – All nearby allies are enraged at the death of any nearby tadpole, increasing their Physical damage done by 25%.